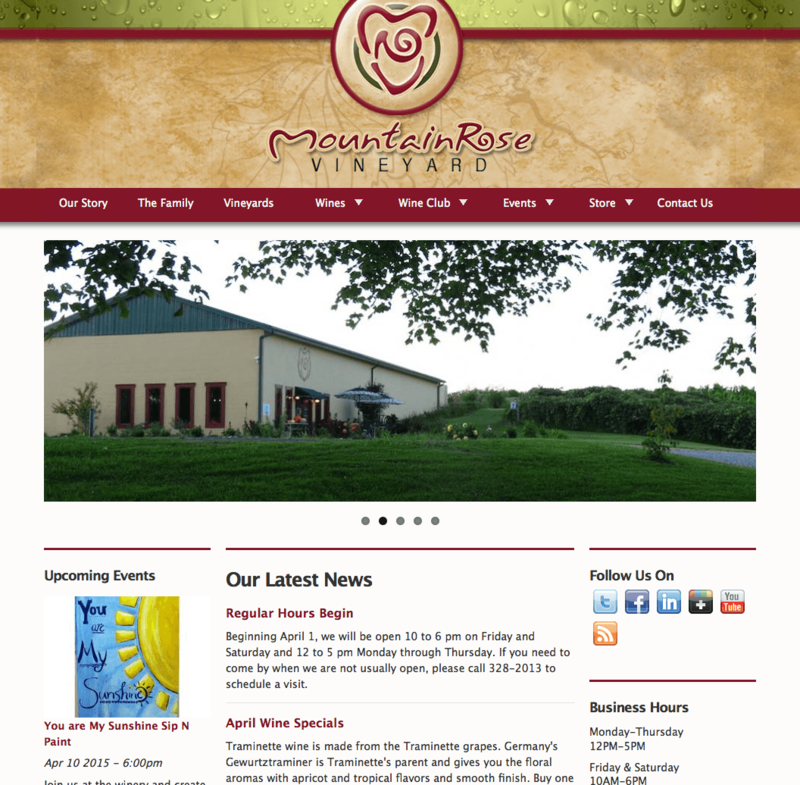 Mountain Rose Vineyard, a winery and vineyard in Southwest Virginia desired updating their e-commerce website to include responsive design. This family-owned vineyard is located in the heart of the coal mining region of the Appalachian Mountains. While the vineyard is growing, they needed to keep costs down while implementing the basics needed for mobile users to access their website and e-commerce services. Daymuse worked with the vineyard to incorporate responsive design elements, update their existing Drupal implementation, and fulfill existing gaps in their presence. © 2008-2018 Daymuse Studios, LLC.